eRetailing provides start to finish service in the design, order, and fulfillment of custom printed apparel and accessories. eRetailing is a multifaceted technology company located in Columbus, Ohio. We have over 15 years of experience in the custom apparel industry, and we’ve been building custom apparel websites since we launched Customized Girl in 2004. We’re passionate about making our customers happy with high quality prints on beautifully made apparel and accessories. We provide start to finish service in the design, order, and fulfillment of custom printed apparel and accessories for the business to consumer and business to business markets. We are the unique combination of a software technology company with expertise in ecommerce and order management automation, combined with many years of real world experience running a leading production and fulfillment facility. We produce and ship thousands of customized products each day, and understand the needs and nuances of this process. Our customers benefit from a robust, mature customization application with millions of orders processed. We talk to our customers every day and have built our technology based on their feedback, evolving our platform with a customer centric focus. The result is a flexible and intuitive visual shopping application that allows for quick and easy creation, order and fulfillment. Our cloud based platform and source code refinements over the last 13 years have made us one of the most dependable and easy-to-use applications. We see a continued growth in the personalization-on-demand (mass customization) market and are positioned to play a significant role in both the ecommerce and B2B order management of this industry. Check out our brands to see what we can do for you. 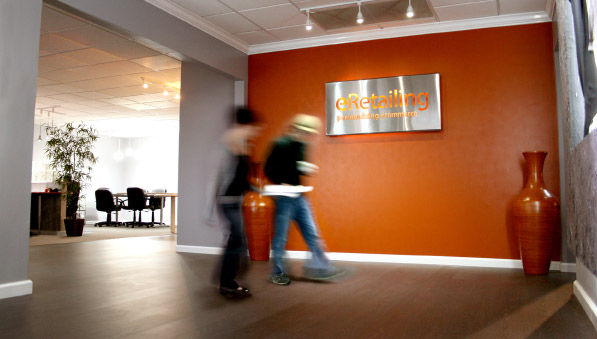 Founded in 2004, eRetailing serves both business to consumer and business to business markets. Our easy-to-use platform allows clients and consumers to exercise as much or as little creativity as they need, while we take care of the rest. We have grown our business year after year by taking care of our customers and understanding their unique wants and needs. We are constantly reviewing new products, printing methods, and technology to add to our services. Customers are our number one focus and we continue to build and evolve our platform based on your feedback. The result is a flexible, dependable, and intuitive experience that allows us to craft and tailor products with outstanding quality for our customer’s individual needs. With full color, no minimum printing, we want to make you happy, too. Our people come from many diverse backgrounds and form the backbone of our company. We value the insight, feedback, and ideas our employees contribute and strive for an inclusive workspace that people enjoy. To learn more about becoming a part of our team, check out our Careers section. At eRetailing, we continually strive to connect with our customers on a personal level. Each of our brands has its own unique energy and objective, but they all have one thing in common – they deliver the tools and support that buyers need to create quality printed products. Fast Platform is a cloud based design, order and fulfillment solution for enterprise B2B clients looking to automate the decorated apparel ordering process. We improve every touch point from order to fulfillment, which in turn drives bottom line revenue as well as customer satisfaction. We offer fully custom solutions and integration for end-to-end automation of the decoration process. Our platform is fully scalable and provides enterprise level customers with improved process efficiency as well as improved order accuracy and transparency on all orders from start to finish. Fast Platform is a cloud based design, order and fulfillment solution for enterprise B2B clients looking to automate the decorated apparel ordering process. We improve every touch point from order to fulfillment, which in turn drives bottom line revenue as well as customer satisfaction. Customized Girl prints custom apparel and accessories on demand. We’ve been making our customers happy since 2004, and we’d love the chance to make you happy too! Anyone can create and order custom shirts, tanks, sweatshirts, underwear, bags, hats, and much more. That’s why we’ve developed an easy-to-use ordering system where our customers can quickly take one design, customize it, and put it on any item. There are no minimums, so you can order 1 or 1,000. We’ll be happy to print it and ship it, either way. Join us and make your statement. Anyone can get custom apparel and accessories printed at Customized Girl. At Bridal Party Tees, our goal is to provide you with an assortment of items to make your engagement, bachelorette party, and wedding even more memorable. In addition to a wide range of products from trendy tops, hats, bags, underwear, and sashes, we offer full color, custom printing that anyone can personalize and design in the comfort of their own home. Since we have no minimums, you can order something special for just yourself or create something for the entire crew. Bridal Party Tees offers thousands of customizable designs for your engagement, bachelorette party, and big day. We are always looking for hardworking and motivated individuals. Interested in employment? 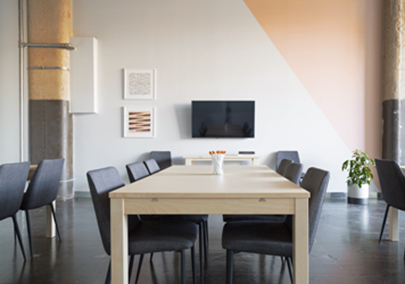 Tell us about your business or reach out for inspiration on your next big project.